Teaching Development Opportunity for STEM Postdocs: Applications Due on November 16th! Congratulations on your appointment as a Graduate Student Instructor! GSIs play an extremely important role in teaching at the University of Michigan. 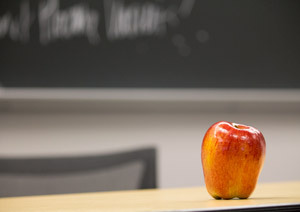 You are generally in charge of teaching small introductory classes, facilitating discussions in small sections connected to large lecture courses, running laboratory sections, teaching lessons in the studio, and holding office hours where one-to-one teaching occurs. Your responsibilities frequently include grading and giving feedback on students’ written work as well. Teaching Development Opportunity for STEM Postdocs: Applications Due on November 11th! In STEM fields, postdoctoral positions are frequently the launching point into the professoriate. However, given the demands of their research commitments, many postdocs have very limited teaching experience when they begin applying for academic jobs. To enable postdocs to build their skills in teaching in the sciences, CRLT and Rackham Graduate School collaborated to create a unique opportunity for U-M postdoctoral scholars: the Postdoctoral Short-Course on College Teaching in Science and Engineering (PSC). The PSC has been offered seven times in a face-to-face format since its debut in 2012, and an online version of the course has been offered twice with Rackham and the U-M Office of Academic Innovation. CRLT is currently accepting applications for the face-to-face version of the course during the Winter 2017 term. The course will meet on Wednesdays from 9:00am-12:00pm from Jaunary 4th through February 22nd, 2017. Applications are due by 8:00am EST on November 11th, 2016. More information about the face-to-face and online versions of the course can be found on the PSC webpage. In order to flexibly accommodate the demanding research obligations of U-M’s postdocs, the PSC uses a “flipped class” model. Before each of the sessions, participants watch short video podcasts and complete preparatory online assignments to establish basic mastery of teaching and learning concepts. During face-to-face meetings, the postdocs engage exclusively in hands-on, experiential learning, practice applying the concepts, and participate in reflective discussions. Both online and during class, the instructors model research-based teaching strategies, so that participants can experience these approaches from the perspectives of their future students. CRLT offers programs and services designed to support graduate students and postdocs in all stages of their teaching careers from training for their first teaching experiences through preparation for the academic job market. CRLT's services are generally open to all graduate students and postdocs, whether or not they are teaching. For information about other programs on campus to support graduate students in all aspects of their work, visit the Rackham Graduate School website for current students. New to Teaching and CRLT?